The product is probably very good. But I still lack a spark either I did something wrong (most likely problem) or out of box malfunctioning part. Not a rare case. I wish I could see a wiring harness for same engine but not one listed. I installed the ignition module and put the weedeater back together. Pulled the start rope or rather tried. Couldn't budge it. Disassembled weedeater. Discovered that the assembly was tightened against the flywheel. loosened and reset same. Re-assembled weedeater. Pulled rope three times. Runs better that when I bought it. 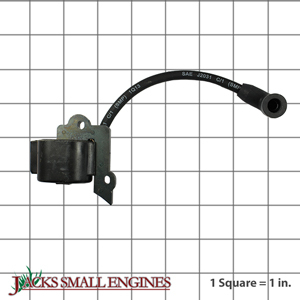 Ask us about the Poulan 530035505 Ignition Module. Please no repair questions. Your Q&A may be posted to Jackssmallengines.com to help other shoppers, like you, with their purchasing decisions. Thank you.